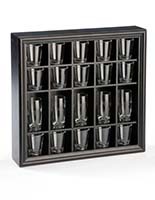 This shot glass case include the silver finished standoffs to offer a decorative accent on the clear acrylic design. 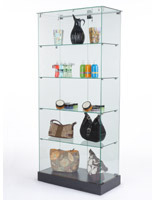 The memorabilia display comes with the anchors necessary to mount the fixture to the wall. 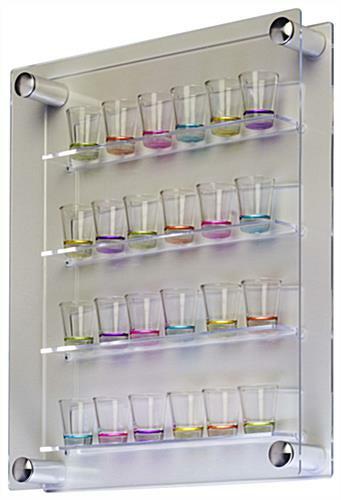 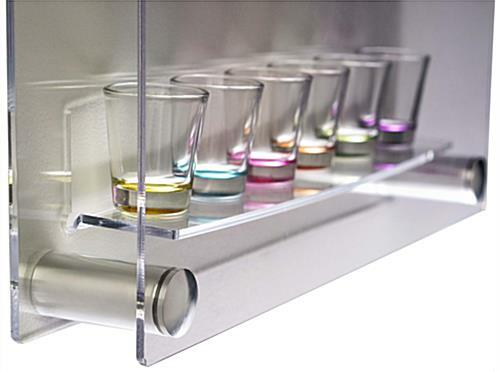 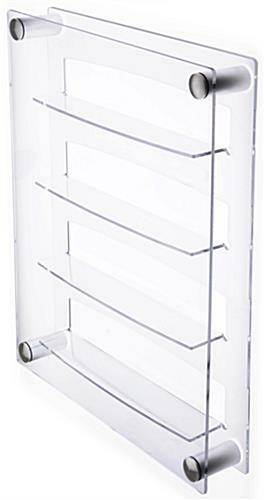 A shot glass case with a transparent exterior, also called barware shelving, includes three tiers for organizing up to 24 shooters. 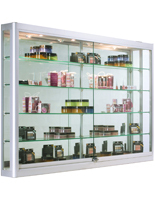 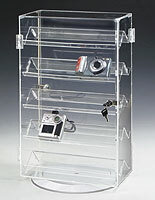 Each memorabilia display protects the contents from damage with an acrylic panel in the front and back. 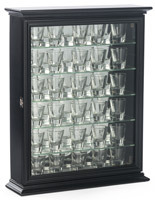 Every shot glass case offers plenty of clearance between the shelving for larges glasses. 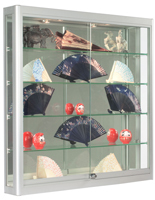 Restaurants and home users can easily slide in the memorabilia through the side of the barware shelving to present interesting content. 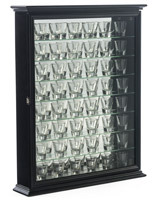 18.2" x 22.0" x 3.0"